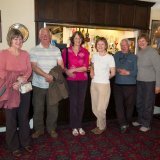 On Wednesday 20th May a small but select party of club members participated in the first of our regular summer walks, on a fine but chilly May day. The hardy bunch of walkers can be seen in the photograph here at Crazywell Pool. 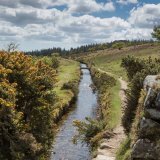 The first half of the walk along the course of the Devenport Leat provided us with some wonderful photo opportunities. 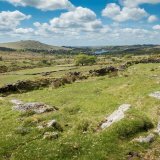 The second half of the walk saw us descend into a beautiful forrested area leading down to Burrator reservoir…At the end of the walk, the group enjoyed refreshments at the Two Bridges hotel! 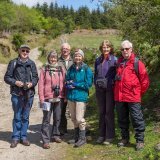 Many thanks to Ted Smith for organising a most enjoyable day out and a reminder that the next Dartmoor walk, to will take place on Wednesday 17th June. 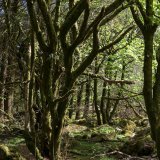 The destination is Dr Blackall’s Drive in the upper Dart Valley and through the tiny hamlets of Leusdon and Ponsworthy.